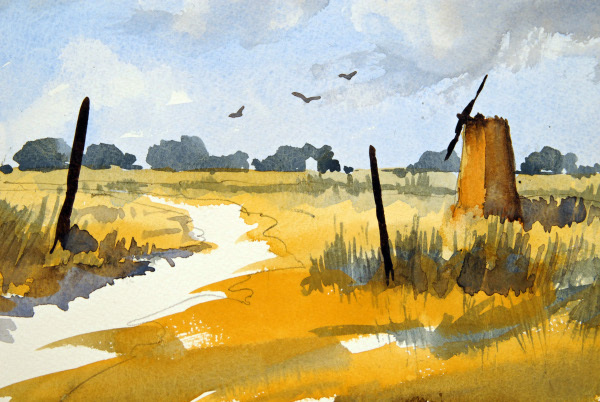 This is the perfect way to learn the skills necessary to paint in watercolour. 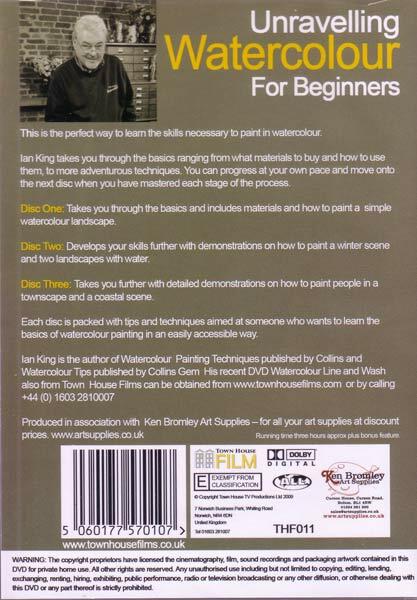 Ian King takes you through the basics ranging from what materials to buy to how to use them, to more adventurous techniques. 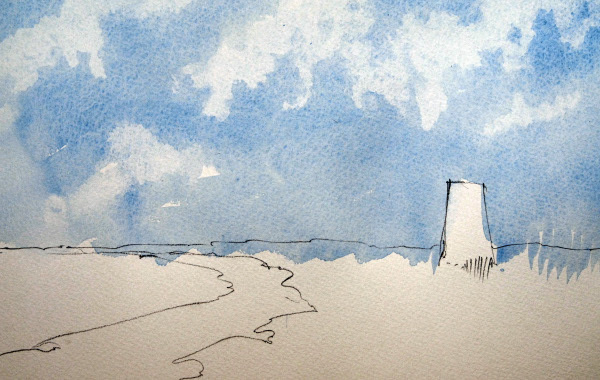 You can progress at your own pace and move onto the next disc when you have mastered each stage of the process. 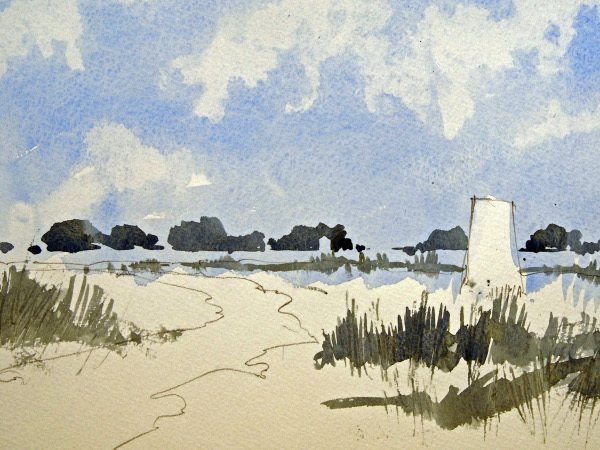 Disc One: Takes you through the basics and includes materials and how to paint a simple watercolour landscape. 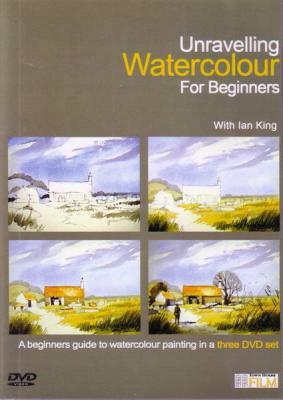 Disc Two: Develops your skills further with demonstrations on how to paint a winter scene and two landscapes with water. 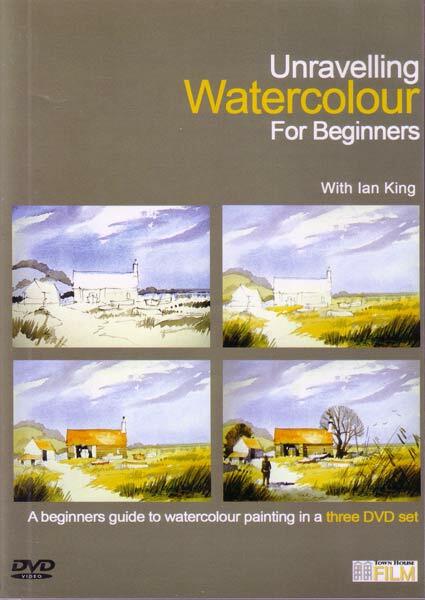 Disc Three: Takes you further with detailed demonstrations on how to paint people in a townscape and a coastal scene. 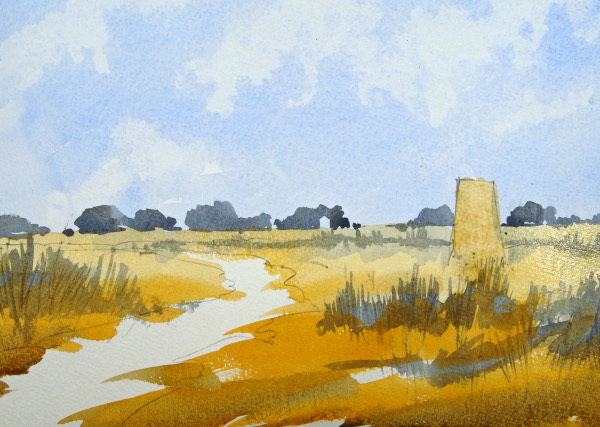 Each disc is packed with tips and techniques aimed at someone who wants to learn the basics of watercolour painting in an easily accessable way.